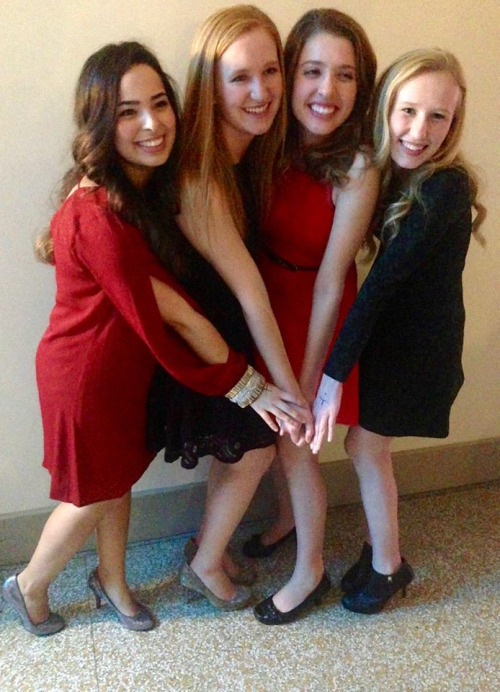 Social events allow members of Kappa Kappa Gamma to create lasting memories and friendships for a lifetime. Each year, we plan several themed events along with a few annual events. In addition to themed date parties, the women of Kappa Kappa Gamma enjoy both a formal and a semi-formal. It is always fun to get dressed up for a night of friendship and dancing! The women of Kappa Kappa Gamma and Pi Beta Phi also team up for a Monmouth Duo event since both sororities were founded at Monmouth College in Monmouth, Illinois. Families get involved and join the fun during Family Weekend, which is held in the fall to help members’ families get acquainted. Our fall philanthropy, Kappa Klassic, and a brunch mark the weekend. These are just a few examples of the events and great times enjoyed by the ladies of Kappa Kappa Gamma. Fun is definitely a key ingredient of the Kappa experience!